April 30, 2018 (Last Updated: March 9, 2019) - As an Amazon Associate I earn from qualifying purchases. In our search for defining what Chow Mein is, we made a few discoveries. First, we discovered that the star of the dish is the noodle. Second, we discovered that chow mein noodles can be prepared a few different ways. 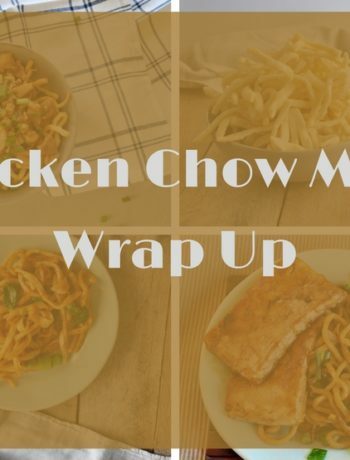 Since chow mein noodles are really the most important part of the dish and not every version of chow mein is the same, today we are going to solely focus on the noodle recipe. Why Not An Entire Noodle Dish? We are going to make more than just chow mein noodles in this series. I think there are many different interpretations that a person can go with when talking about the sauces, meats, and vegetables. 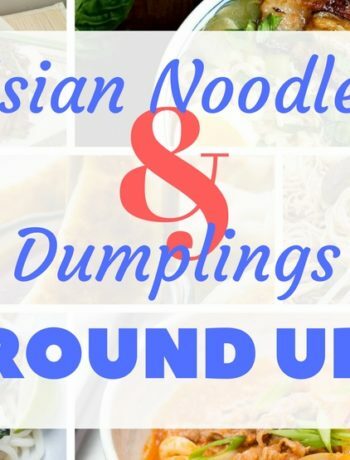 We are going to cover some of these in upcoming posts and today we are just going to focus on the noodles with everything else being very simple. Are These Specifically Chow Mein Noodles? The end product is chow mein noodles, but this really is a base for any wheat based Asian noodle. I would say that these are homemade Asian noodles that are the building block for chow mein. What are going to make these Chow Mein noodles is the cooking technique. As we discussed in our definition post, there are really two main ways to make chow mein noodles. One involves boiling and then stir frying and the other involves deep fat frying. This is my preferred method. Here, we are going to boil the noodles, but then fry them with all of the goodies. This is differentiated from Lo Mein, in that Lo Mein is only tossed with a sauce. The noodles in this dish should still have a crisp firmness to them that tells the eater that they have, in fact, been fried. Remember that the literal translation of Chow Mein is fried noodles. This style of chow mein noodle is the kind you would get out of a La Choy container. Those crispy noodles you find in the dry section and every time you open them up, you might be liable to snack on a few. In this variation, we are still going to boil these noodles, but then we are going to deep fat fry them. These noodles are going to be more crispy than the boiled and fried noodles. Additionally, the noodles are going to be used like a nest for the included stirfry instead of fried in the wok with all the other components. Today, we are NOT going to be making this recipe, but our next post will focus on these crispy fried chow mein noodles. In the video I borrowed the recipe from, she mixes the noodles with other ingredients. To make chow mein, we simply are going to fry them instead and incorporate them with our stir fry. Wait. Chow Mein Noodles with No Chow Mein Recipe? Well, I am, but I am just going to make a very basic Stir Fry Sauce with no meats. I am adding just some bok choy that has been stir-fried prior to stir-frying these noodles. We are just focusing on making noodles today. Check back or subscribe to get the full deal on the rest of the stuff. Or, you know, you can use the recipe in the video or you can really use these noodles by themselves! Experiment and enjoy tasty, fresh, Asian noodles. I am sure you could really use any wheat based flour, but you might get different results based on these changes. I use bread flour and always have bread flour available. Will all purpose flour work? Probably, but you might get a slightly different consistency and it may not be quite right. She said it in the video and I am going to say it again. When I mixed the flour and water, I felt there was not enough there. Resist the temptation to add anything. Just keep on kneading and kneading. When I made these noodles, I definitely struggled with knowing when they were flat enough. Keep on going. Keep on rolling them out to get them nice and thin. I really wished I had a pasta maker attachment for my Kitchen Aid, as I probably would have done that. The first few times I made this recipe, I ended up with some very thick noodles. They weren’t bad, but I do like it when they are a bit thinner and more delicate. 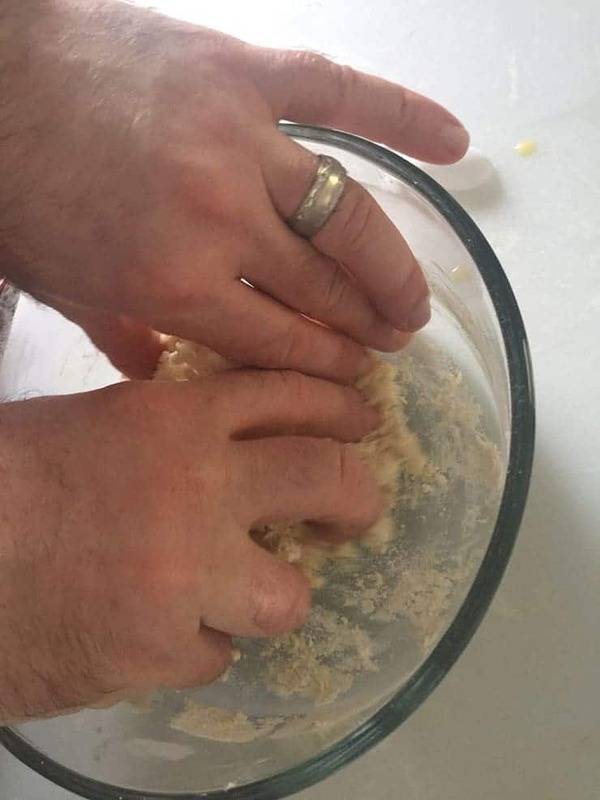 As with any bread making, measurements are important. 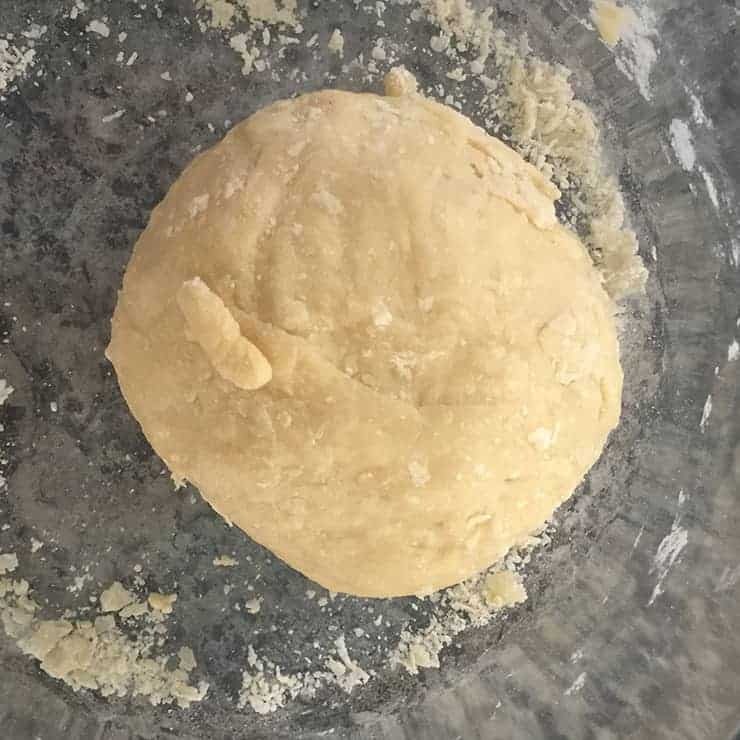 The ratio of water to flour can dramatically make a difference in the final product. If you can, measure this stuff out exactly. Do you really cut them noodles individually? Yup. I don’t have the noodle maker attachment for my kitchen aid and I don’t have a countertop roller. So, this is just how I do it. In the video, she folded the sheets of dough and then cut them. 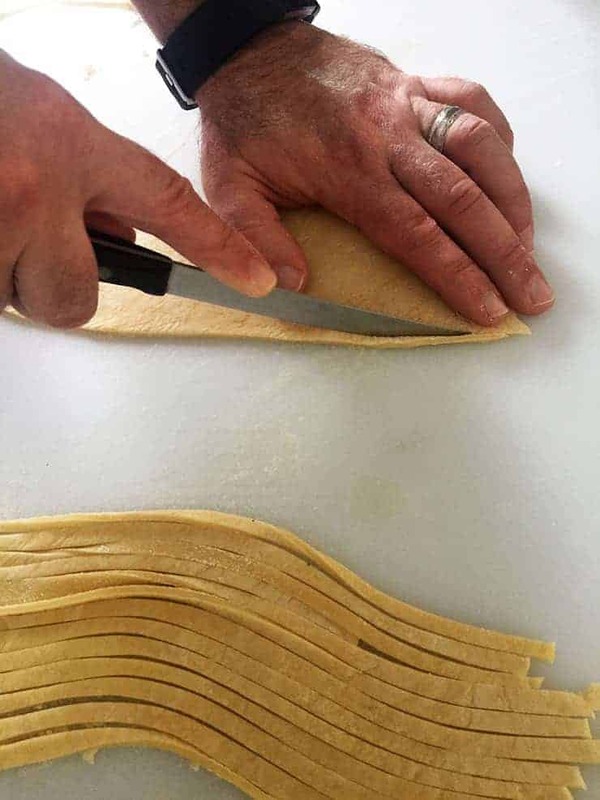 I preferred to just cut them individually, as it gave me a little more control on the size of the noodle and also helped prevent me from messing up. Use your best judgement and if this is just too much for you, just use some Asian wheat noodles (not buckwheat) from the store. 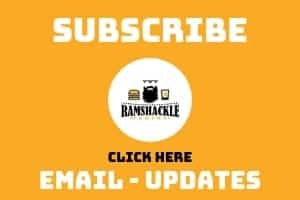 Thanks for reading and if you like what we are doing here, subscribe to get updates sent to you in your email and follow me on social media! Want to make an authentic Chow Mein recipe? Start with some authentic chow mein noodles. This recipe is my take on a real and fresh chow mein noodle. Cut thinly with knife. 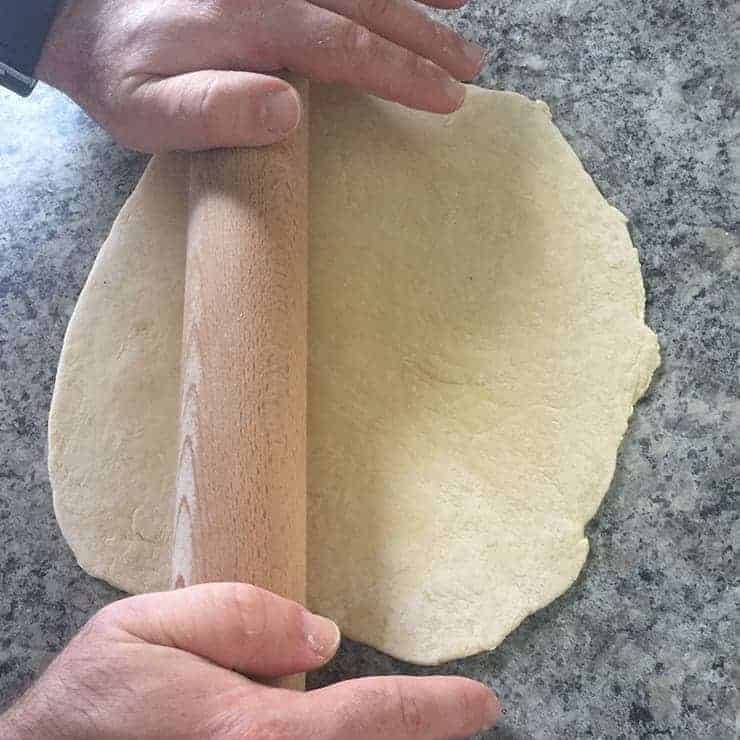 In the video, she folds the dough, but I just roll it and cut the individual noodles. Add to Boiling water for 2-3 minutes and then strain. Add Noodles and Stir Fry for approximately 2 minutes or until noodles are crispy. 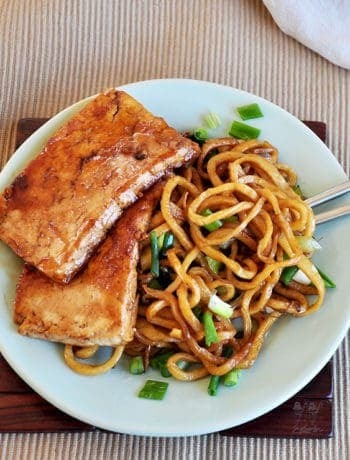 The goal here is NOT to make them crispy like the ‘from a can’ variation, but noodles that have been stir-fried so they are crispy on the outside, but still noodle-like. 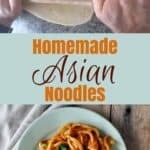 Homemade chow mein noodles? That is called dedication. Oh, I am loving the noodle making! This is something I’ve never made before but I love making Italian pasta so would have so much fun making these. P.S LOVE all your tips, so helpful! That’s true dedication … and a lot of work! I love making homemade noodles. But I have not made some in forever!! This looks perfect. Saving to try soon. I love making my own pasta, but I haven’t done it in ages. I really need to change that. I’ve never tried my hand at chow mein noodles, but this does look pretty easy. Thank you for the great tips on the different cooking techniques too! Excellent post! I love making homemade noodles (and don’t do it often enough), and I LOVE them incorporated into a fresh stir fry! Perfection. Homemade chow mein noodles!? Wow, I have never attempted to make those, yours look amazing! What a great tutorial! Love how you gave us all the steps and made it looks easy and delicious too! 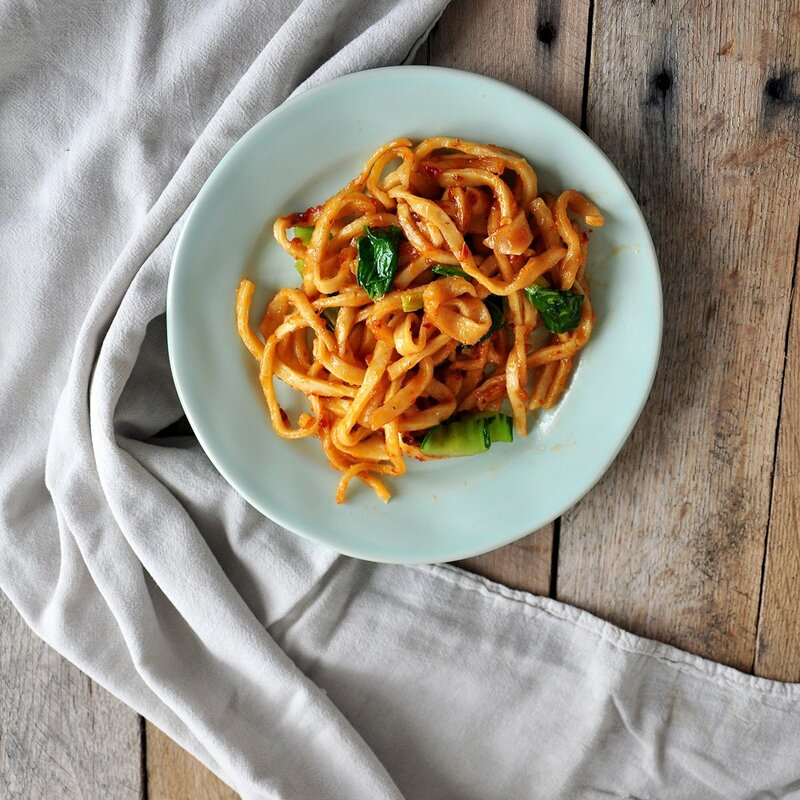 Homemade noodles are such a show of love! Great recipe and very informative … I love that this looks so easy to make! My kids are crazy for chow mein noodles. I am so going to have to try my hand at making them some this week! Thanks! What a great foundational recipe for making chow mein noodles. Can’t wait to see the recipe creations you include these with! Homemade Chowmein? This is amazing! If I can pull this off maybe my daughter will stop begging for Chinese all the time? I love that you made this pasta by hand, makes me feel like I can do it! Thank you for the demonstration photos. Wow I enjoyed reading your detailed tutorial. I love chowmein but never thought I could make it at home! Absolutely! It is a little work, but I thought it was a fun project. I’ve always wanted to make noodles from scratch, but was always a bit intimidated. Your tutorial is excellent, so I’ll give it a whirl. Thanks! I hope you love the noodles!